SURVEY: Tell me your priorities for the 2019 legislative session! 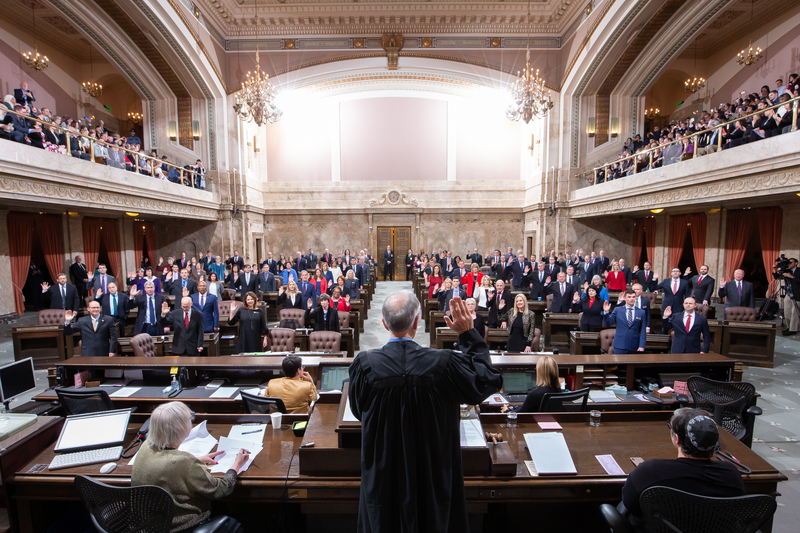 The new legislative session began last week, and I am honored and grateful that you put your trust in me to begin my second term as your state representative. There are many opportunities ahead of us in this 105-day legislative session, and I am ready to get to work for you. This year I am continuing my focus on our housing affordability and homelessness crisis. All of us see and experience this crisis every day in Seattle, but it is a growing problem in every community across our state. We simply do not have adequate housing options across all income levels and across many specialized needs. It is just as critical to ensure that people can stay in their homes. I am introducing a number of bills to reform the eviction process and expand rent subsidies for those most at risk of homelessness. The Seattle Times recently profiled Keilani Luxmore, a Lake City resident who may lose her home over a $2 late payment. Legislators from both parties and many areas outside Puget Sound have asked me how they can help. I am encouraged by their attention to the issue, and I see it as a real opportunity to make a difference. See my colleagues, Rep. Debra Lekanoff and Rep. Debra Entenman honor Dr. Martin Luther King Jr.’s legacy earlier this week. During this term, I am continuing to serve as vice chair of the House Health Care and Wellness Committee where we are focused on providing affordable and accessible health care for the people of our state. I am a strong supporter of Governor Inslee’s proposal to establish a public health insurance option, and am getting ready to introduce a bill to provide a pathway to universal health care in our state. We will also work to ensure people living with mental illness and behavioral health challenges receive quality care close to home. I am also thrilled to announce that I have been appointed to two other very important House Committees: Finance and Appropriations. I will have a hand in reversing the harmful regressivity found throughout our state tax structure as a member of the Finance Committee. With my seat on the Appropriations Committee, I will make sure our state budget reflects our values. This is just a brief highlight of a couple issues I am working on this year. I will be a strong advocate for climate action, transit & transportation, education funding, supporting higher education students and institutions, worker protections, early learning, and many others. I have a number of ideas about good public policy to work on, but I really want to hear from you. What are your priorities for me as your representative? How can we make the 43rd Legislative District an even better place to live, work, and raise a family? Please take a few minutes to complete this brief survey. I look forward to reading your responses and using your feedback throughout the next few months while I am in Olympia. Stay tuned for my next e-newsletter where I’ll report back to you about the issues you tell me are important to you. I recently recorded a podcast about housing, homelessness, and behavioral health. Listen here! Washington State House Democrats Sites > Nicole Macri > GD-TEST > SURVEY: Tell me your priorities for the 2019 legislative session!